We’ve all heard about organic skin care products and brands, but are they really worth all of the hype? If you don’t mind paying for great skin care products (so long as they actually work! ), then this is the list for you. No one likes getting suckered into paying top dollar for a product that turns out to be nothing more than fancy packaging and buzzwords. 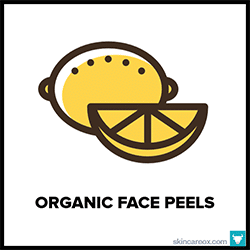 When it comes to organic skin care, however, there is definitely legitimate benefits behind all of the buzz. 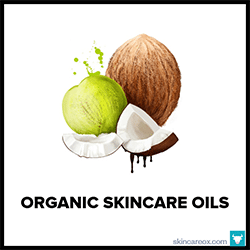 One common misconception is that organic skin care products are somehow less effective than their non-organic counterparts. In actuality, many luxury organic skin care products work as well or significantly better than conventional products. 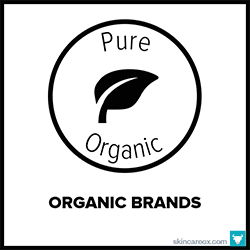 The best organic brands avoid using potentially toxic and skin-irritating chemicals like pesticides, ethoxylated ingredients, and parabens in their skin care products (which can actually harm the skin over time). Additionally, luxury brands take it one step further by combining the most powerful natural botanicals with the latest (and safest) science to create highly effective botanical blends. (3) Customer product reviews and (4) Clinical effectiveness of ingredients. Can’t decide which organic luxury product to try first? Want to try them all? Then, check out the Ox Box! It’s a seasonal subscription box filled with the best organic skin care products hand-picked for your specific skin type and skin conditions. We even include one ultra-luxury organic product ($50-$100 retail) in every box! The True Botanicals entire skin care line is MADE SAFE certified (which means a team of third-party scientists have rigorously analyzed each and every product in the line and has certified their safety); thus, this line is as pure as it gets. Moreover, True Botanicals also provides extensive clinical trials which show how their products stack up against competitors. Now, that's Confidence! Customer favorites include the Pure Radiance Facial Oil, Hydrating Cleanser, and Vitamin C Booster Serum. RoseMira is an organic skin care brand founded by a woman (Mira Herman) who is obsessed with finding the absolute best ingredients from around the world for her products. Once she has gathered a harvest of potent ingredients, Mira goes to work using her decades of herbal formulation knowledge to craft perfectly balanced and effective products. If you had to try just one organic brand--RoseMira is it! Check out their Pineapples + Cream cleanser or Rich Moisturizing Cleanser + Night Cream. The hype around Maya Chia is definitely real. The entire Maya Chia organic skin care line revolves around supercritical chia seed oil. Chia oil is an anti-aging wonder ingredient that is packed with antioxidants and clinically proven to increase skin hydration. Maya Chia's patented extraction process allows for the gentle extraction of chia oil at max potency. Their products are made in the USA and their ingredients are either certified organic or wildcrafted. Must try products include their Supercritical Omega-3 Chia Facial Oil and their Eye Achiever serum. OSEA is an organic skin care brand that has been committed to non-toxic skin care for over 20 years. OSEA was the first company to sign the Environmental Working Group's "Compact for Safe Cosmetics" pledge and has lead the charge ever since. The line is totally plant-based, vegan, and free of synthetic ingredients. Responsibly sourced organic seaweeds are the star ingredients in nearly all of OSEA's products. Top products include the Ocean Cleanser, Vitamin Sea Serum, and Hyaluronic Sea Serum. May Lindstrom's luxurious line of organic skin care products features only the best certified organic, bio-dynamic, and wild-crafted ingredients. The line is free of any harmful parabens, glycols, petroleum, sulphates, PEGs, phthalates, GMOs, silicones, and anything synthetic. May Lindstrom offers seven products, each handcrafted and packaged in micro-batches for premium freshness. Their most loved product, The Blue Cocoon Mask with rare blue tansy, is a must try for anyone suffering from acne. Kypris is a luxury organic skin care line that takes ingredient quality to the extreme (in a good way). All products in the Kypris line feature certified organic, wild-crafted, natural, and sustainably sourced ingredients. Their truly unique formulations are truly unlike anything you've seen before in organic skin care and definitely justify their prices. Must-tries from the line are the ultra-luxurious Beauty Elixirs: 1,000 Roses (made from 1,000 roses! ), Healing Bouquet, and Prismatic Array. Kahina Giving Beauty is driven by a commitment to philanthropy and quality ingredients. Certified by ECOCERT, Kahina's organic skin care line features effective products with up to 100% organic content: Kahina Facial Cleanser (78.8% organic), Kahina Toning Mist (90.61% organic), Kahina Serum (98.8% organic), and Prickly Pear Seed Oil Rollerball (100% organic). The signature product of Kahina Giving Beauty is their 100% Organic Argan Oil--a product that is handcrafted in Morocco's argan region. Herbivore's organic skin care line is free from synthetics, artificial scents and dyes, parabens, fillers, and a host of other nasty ingredients. Instead, Herbivore uses luxurious and rare ingredients like Cambrian Blue Clay, Blue Tansy sourced from Lapis Lazuli oil, and wild Orchid extract to deliver powerful (yet, gentle!) results. Herbivore's top must-try products include their Bamboo Charcoal Cleansing Bar, Lapis Facial Oil, Blue Tansy AHA + BHA Resurfacing Mask, and Rose Hibiscus Face Mist. Laurel Whole Plant is a luxury organic skin care line focused on using flowers, herbs, and plant-based ingredients. Their formulations are crafted from plants which have been picked at their peak and then gently coaxed into pouring all of their therapeutic benefits into each product without the use of heavy refining. Their ingredients are almost exclusively 100% organic, raw, and unrefined. Must try products from Laurel include their Blemish Treatment, Body Oil, Facial Serum, and Eye Balm. LILFOX is a luxury boutique organic skin care line based out of Miami, Florida. All of their highly potent products are handmade and formulated by the brand's founder, Alexis Rose (a certified aromatherapist and essential oil educator). Their skin care line contains tons of organic and wildcrafted ingredients and are toxin-free, gluten free, and vegan (with the exception of the Rainforest Honey Mask). 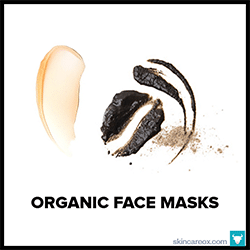 Their signature organic masks, like the Chlorophyll + Tourmaline and Cleopatra, are a must try. Certified by NATRUE, Amala products are guaranteed to contain only the most potent organic and wild-crafted ingredients available. Their products contain no preservatives and use only food-grade organic milk emulsifiers. In addition to high quality ingredients, Amala also uses a custom distillation method to ensure that all plants retain maximum potency through the extraction process. Fans of the brand love their Soothing Cream Cleanser, Rejuvenating Collagen Mask, and Rejuvenating Face Cream. Eminence has been making handmade organic skin care products in Hungary since 1958. Free of harmful chemicals due to sustainable farming practices (for example, tea tree oil is used instead of pesticides), Eminence's award-winning professional collection blends fresh fruits, plants, and rare spices into expert concoctions boasting potent healing properties. Coveted Eminence products include Clear Skin Probiotic Cleanser, Apricot Body Oil, Stone Crop Hydrating Mist, and Hibiscus Lift Neck Cream. Founded by a wellness advocate with a Master's degree in Therapeutic Herbalism, Naturopathica is an ECOCERT certified organic skin care line using the latest botanical sciences. Their products contain 100% natural and a minimum of 50% certified organic ingredients. For a potent organic skin care routine, try the Chamomile Cleansing Milk (86% organic), Lavender Honey Balancing Mist (97% organic), Pear Fig Polishing Enzyme Peel (86% organic), and Carrot Seed Soothing Facial Oil (99% organic). After being diagnosed with breast cancer, the founder of Odacite decided to create an organic skin care line that used only the most effective, fresh, and magical ingredients that nature has to offer. The brand swears off fillers, parabens, nanoparticles, petrochemicals, PEGs, synthetics, and phenoxyethanol. Experience ultimate potency with Odacite's Rejuvenating Cleanser, Beautiful Day Moisturizer, and Oleosomes Times Release Delivery Creme (83% organic) with aloe and antioxidant rich teas. This rich moisturizing cream is the flagship product of the RoseMira brand and remains their most popular and effective product today. A decades old formula crafted from trusted organic ingredients like sweet almond oil, coconut oil, apricot oil, cocoa butter, and organic honey. It is a very rich cream intended for nighttime use. Effective yet gentle enough for all skin types and conditions. Luxury organic spa-brand, Eminence, is well known for their amazingly high quality skin care products--and this organic face moisturizer is no exception. It's a light, non-greasy cream made from Monoi (a Tahitian oil), argan oil, jojoba oil, evening primrose oil, and grapeseed oil. Ideal for anti-aging as the most positive online reviews for this product are from users with fine lines and wrinkles. May Lindstrom products are the cream of the crop (the price is totally justified). This Jasmine Garden organic toner should be a staple in everyone's skin care routine. It is unbelievably calming, healing, and invigorating on the skin. The secret is a blend of healing ingredients like colloidal silver (anti-bacterial + anti-inflammatory), Bulgarian rose oil, jasmine, and witch hazel. This is a must try for acne prone and sensitive skin types. This clearing serum is simply one of the best treatments for acne and blackheads. It's both powerful and all natural. This little bottle is packed with powerful blemish clearing ingredients like zinc, alpha hydroxy acid, green tea, salicylic acid, and tea tree oil. Just apply a small amount to areas affected by blackheads and acne after cleansing and moisturizing. We've seen results in as little as 24 hours. The most popular product from the luxury organic skin care brand, True Botanicals. This facial oil is the perfect moisturizer because it sinks deeper into the skin than a traditional cream-based moisturizer would. Formulated with super potent anti-aging and regenerative ingredients like marula oil, chia seed, rosehip seed oil, evening primrose, passion fruit, algae, astaxanthin, and papaya. This rich oil absorbs easily and instantly hydrates the skin. A gentle mask that features salicylic acid, alpha hydroxy fruit acids, and beta hydroxy acids to remove dead skin cells, clear excess oil, and unclogged pores. It also contains a healthy dose of blue tansy oil and aloe leaf juice which are both have soothing and anti-inflammatory properties. Use up to three times per week to prevent blackheads. Can also be used before blackhead extraction for easier removal. Looking to add a little luxury to your blackhead prevention routine? Look no further than this effective pore-clearing mask from LilFox. The potent mix of ingredients like rhassoul clay, dead sea clay, bamboo charcoal, and turmeric root will work wonders on clogged pores. Unlike most clay masks (which can dry out the skin), this mask will leave your skin feeling soft and refreshed. A wonderful organic toner for oily skin types that won't leave your skin feeling dry. It combines oil fighting, pore refining, and skin soothing ingredients that will leave your face soft, refined, and glowing without the oil. The stars of this toner are blue lotus flower (controls oil), aloe (moisturizes and soothes), rose flower water (mild natural astringent), rice germ (reduces visible pore size), and white tea (potent antioxidant).